This coffee table book was curated by Tyler Alexander. 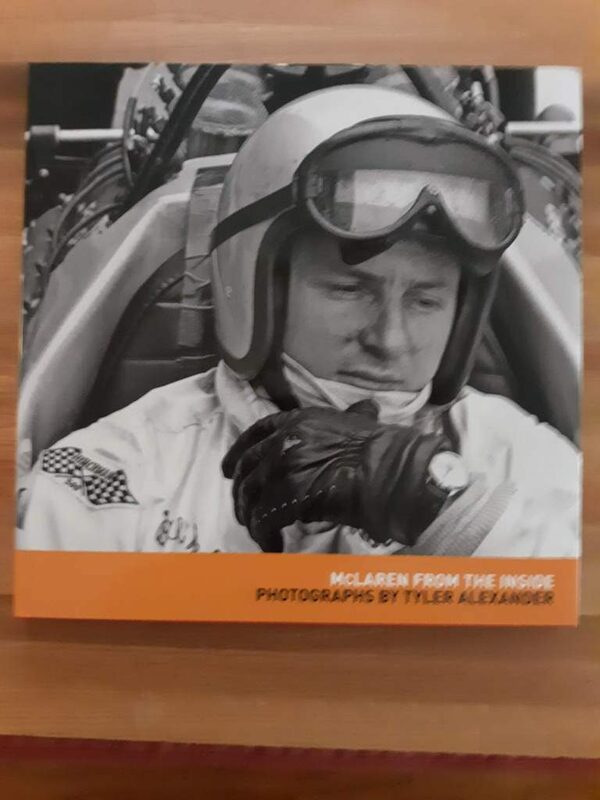 Tyler was a founding member of Bruce McLaren Motor Racing Ltd. in 1964 and only recently retired from the organization. The book is largely composed of photos taken by Tyler, with minimal text to annotate them. The images are from two very different eras. Part 1 covers the teams formative year in the 60’s, in a mainly black and white format. 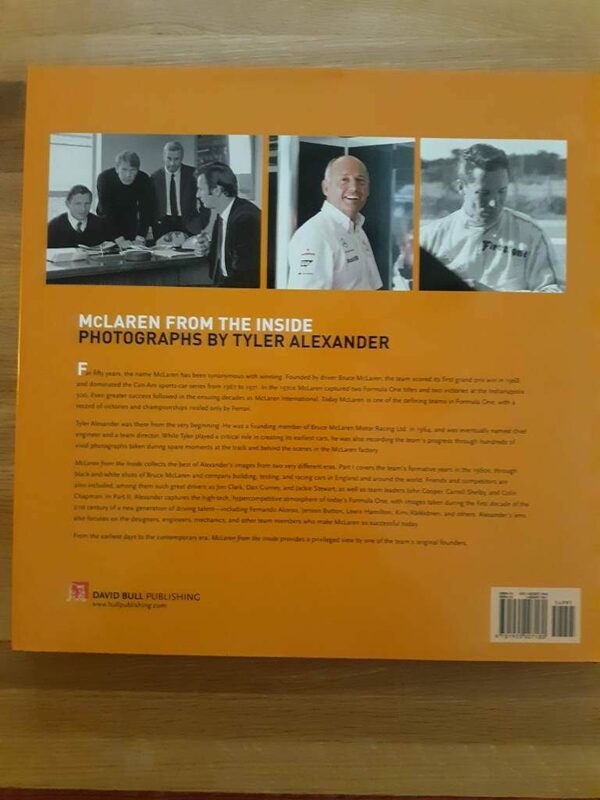 I’m sure at the time he was just snapping photos out of personal interest and curiosity but in hindsight he captured some amazing images of that era in McLaren’s racing history. In Part II, Tyler captures color images of the first decade of the 21st century. His inside front row seat gave him access to images not normally seen from the closed world of modern Formula 1. A fascinating collection of images and history that I thoroughly enjoyed!